Cal is the two-time defending National Champions, and with that credibility, and how young the team was this year, it’s going to be really hard to pick against them next season. But they weren’t the only young team on this year’s ballet – perhaps part of the reason why the country was slow nationwide this year was because it was a very young field nationwide. There’s still quite a few big-time international recruits that could be picked up by different teams. Texas won’t go after these international recruits, but they are fair game for all of the other teams on board, so that’s still to have a significant impact on these teams. Texas head coach Eddie Reese, however, was in town for the NJCAA Junior College National Championship meet, where he was watching his future transfer Caleb Weir (Amanda’s little brother). There were a lot of great swimmers at that meet this year, including the 19.1 sprinter Bradley Tandy (though he likely has another year at Indian River), and a 47.4 butterflier in Logan Mosley, who would fill significant holes for a lot of the top teams. The top 5 next year should be largely similar to what it was this season, with the exception that USC could knock their way up into the top-5 – they sacrificed 32 points in the 800 free relay due to a silly DQ for swimming across the lane prior to the end of the relay, and are the only team who isn’t graduating a single individual point (and only two free relay spots). Florida, with Sebastien Rousseau returning, could also make a run of it if they hit their tapers at the right moment. USC looked like they would break into the top 5 after last season, but Clement Lefert leaving early to swim for France at the Olympic Trials, along with the aforementioned DQ’ed relay, did that plan in. This year, they’re only graduating Jeff Daniels, a good relay swimmer but not much else. The biggest addition is National High School Record holder Maclin Davis, who is an awesome butterflier and a very good sprint freestyler as well. Still no new breaststrokers coming in, which is shocking for the breaststroke master Dave Salo, but Sergion Lujan Rivera was only a freshman this year, and should be the big Salo project between now and 2013. They’re also adding a pair of great distance swimmers – one an Army transfer Brock Redondo, and the other freshman Ted Singley. Arizona is losing a monster senior class this year that accounted for over half of their individual scoring. They aren’t bringing in much that we know about – the top of the class is Kelly Moodie out of the St. Mary’s International School in Japan – that has produced some outstanding freshman in brothers Miguel and Bruno Ortiz at Michigan. Arizona will be down this year (they’ve still got at the least a great medley relay with Giles Smith, Mitchell Friedemann, Kevin Cordes, and Woody Joye) but won’t have anywhere near the individual scoring to contend for a National Title, especially without both of their NCAA-qualifying divers. Eric Hansen has a lot of scholarship money stockpiled though, and will be putting everything they’ve got towards recruiting the Ryan Murphy – Jack Conger double in the class of 2013. 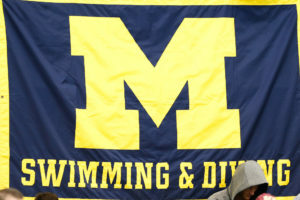 Even though the Wolverines are graduating a very high-profile swimmer Dan Madwed, the 2012 Big Ten Swimmer of the Year, he’s the only NCAA qualifier that their graduating. Their loaded junior-to-be class really found themselves at the NCAA Championships, and as juniors they should earn huge points. They bring in a very good freshman class, one of the best in the country, that includes a 200 butterflier in Dylan Bosch, who could be even better than Madwed in his best event, the 200 fly. They’ve also added a lot to their freestyle depth with the signings of Reid Elliott and Peter Brumm. It’s also rumored that D-3 Swimmer of the Year Zach Turk from Kenyon will use his final year of eligibility at Michigan. That’s a 19.3 sprinter added to their lineup – which is exactly what they need. Texas had a big window to win the NCAA Title last year that won’t be open again next year, as they lose more than any other team in the top 10. And it’s not just that they graduated a lot of swimmers, it’s who they graduated. They lose double-National-Champion Jimmy Feigen, they lose the guy who is by far their best butterflier in Tripp Cooper, a four-time Big 12 mile champion Jackson Wilcox…and they lost 81 diving points that were a big ace-in-their-holes. The saving grace for the Longhorns is that their recruiting class from last year, including names like Tripp Cooper and Jake Ritter, was better beyond the top two (Clay Youngquist and Kip Darmody) than expected, and could be ready to absorb some of the loss quicker than expected. It’s also Dax’s time to shine as the big-man-on-campus for this team. They bring in John Murray who was a good recruit and has raised his stock even further since signing, as well as the aforementioned Weir, who is a 19.8 50 freestyler and 44.0 100 freestyler. Cal’s freshman class last year made a huge impact in the relays, but Stanford still had the highest-scoring class in terms of individuals with 116 points. And that was without any points from some of their top recruits like Jack Lane and Jonathan Edwards, who should both score next year. They again bring in a top-two recruiting class in the country with names like Tom Kremer, Danny Thomson, and Sean Duggan. On top of that is former wunderkind Gray Umbach who plateau’d for a few years, but this past year really kicked back into overdrive, and broke the Texas State Record in the 100 fly. They’ve lost American Record holder Chad la Tourette and Bobby Bollier, though Bollier wasn’t a huge scorer during his senior year (certainly not as much as his junior season). But the freshmen class should make a big leap for their sophomore years, and Aaron Wayne will be back for one more year as one of the best sprinters in the country. Cal not only returns the most individual points next year, and the most relay swimmers, of the teams on this list, they get way richer. With Josh Prenot and Jacob Pebley as part of their monster recruiting class, they have probably the two most NCAA-ready of the American recruits. They graduate half of their medley relays (Matias Gydesen and Nolan Koon), but like clockwork another great senior breaststroker Trevor Hoyt slides in, while Prenot and sophomore continue to develop and gets ready to take over that spot in 2014. They add another sprinter in Nick Dillinger (not that they need another one of those – but it could relieve a lot of pressure off of Tom Shields). And lest we forget, they will add Auburn transfer Tony Cox who in 2011 was an NCAA A-Finalist in the 100 back and has B-Final potential in the 100 fly too. If he can take over backstroke duties on the 400 medley, and Shields then slides back to fly, then suddenly these Cal medleys, despite graduations, are about as good as they were this past season. 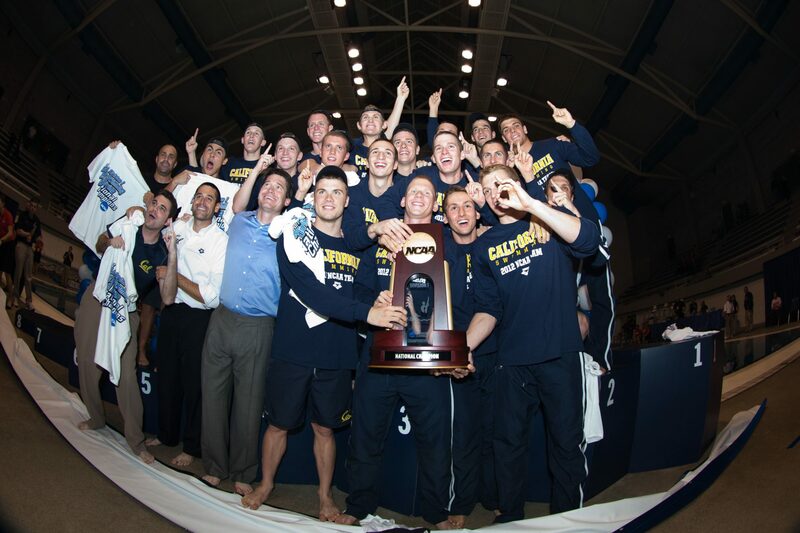 We’ll dig more into the teams this summer after recruiting classes are more nailed-down, but for now I’d say that Cal is the favorites to repeat as national champions, and I think everyone else is probably going to have the same pick. Gray umbach is headed to Stanford which adds great flexibility for their relays seeing as he is an incredible freestyler, flier, and backstroker. The next several NCAA’s should be thrilling for sure. I’m already looking forward to seeing what happens in Indy next spring!